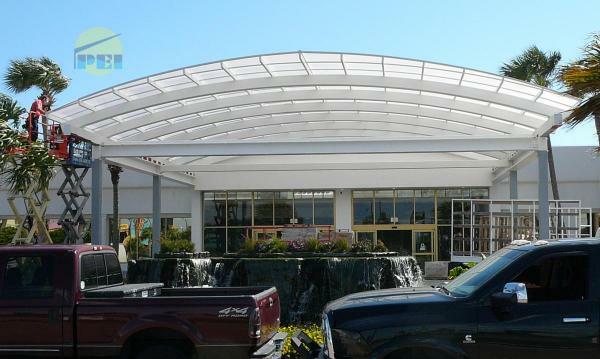 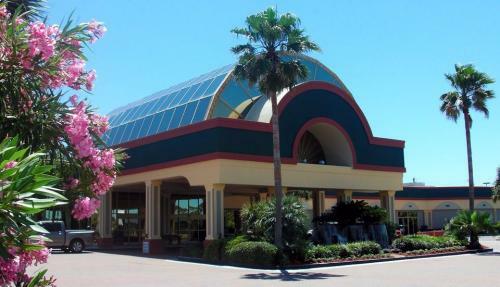 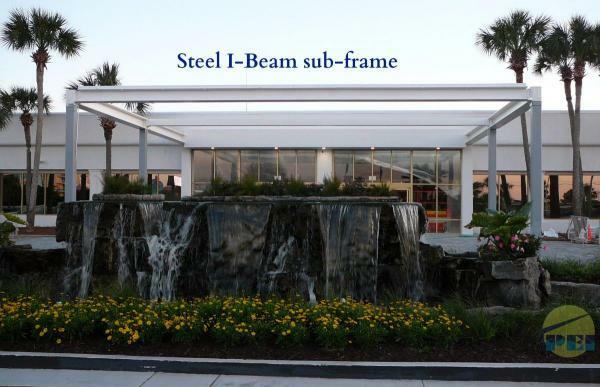 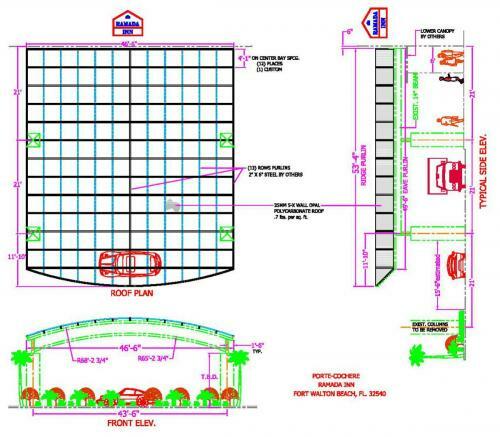 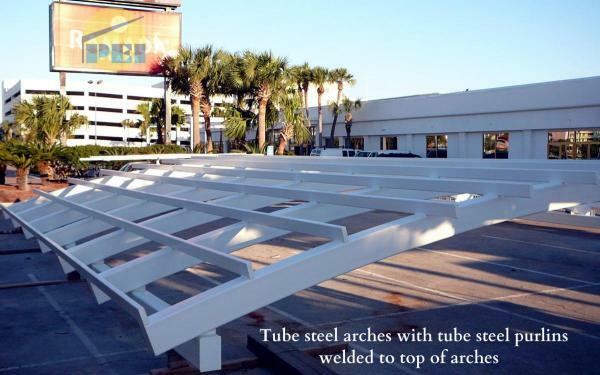 Below is a large 43' x 53' Arched Roof Porte Cochere for a Ramada Inn located in the Florida panhandle. 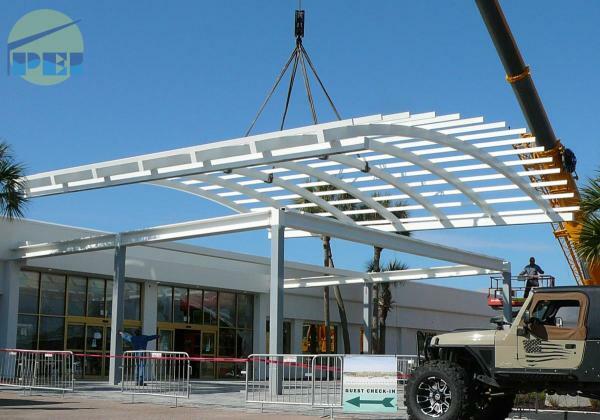 Construction progress photos are below. 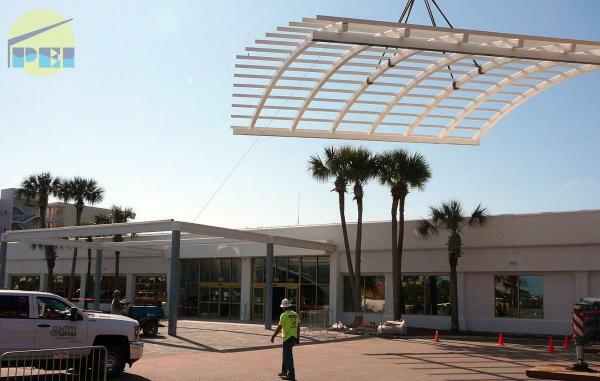 The canopy consists of 25mm 5-x wall opal polycarbonate. 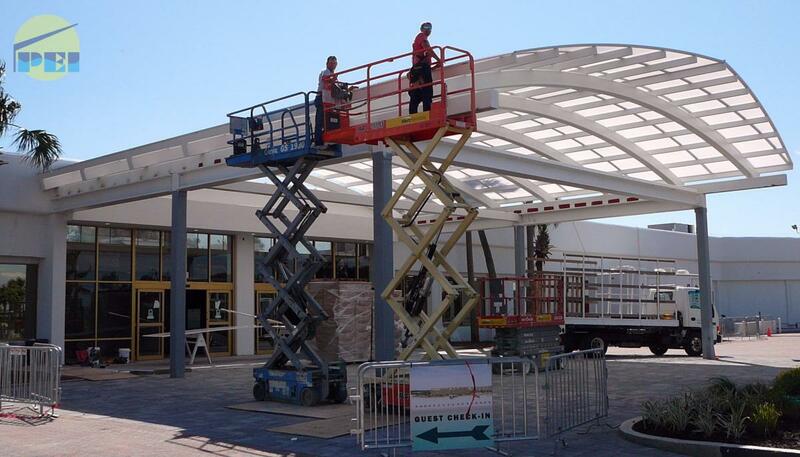 Below is a photo of the old glass roof Porte Cochere before demolition.